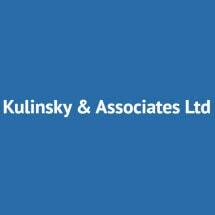 Welcome to the website of Lois Kulinsky & Associates, Ltd.
Our practice is primarily in Divorce, Post Decree, Paternity, Family Law, Estate Planning, Real Estate, Guardianship, Disabled Estates, Probate, and Business Law. We have been serving Cook, DuPage, Kane, Lake and McHenry Counties in Illinois for over 30 years. Our attorneys pride themselves on providing excellent services. Frequent and open communication between our attorneys and the firm's clients is the key to our successful client-attorney relationships. Your legal representation should command a powerful presence in the courtroom and present rational arguments to which judges will listen and agree. If you or someone you know is thinking about or is in need of legal representation, hire the law firm that judges and other attorneys respect, Lois Kulinsky & Associates, Ltd.